Very thorough! Even checked my scalp between my toes, behind my knees. Recommended a few solutions for my acne. No upsellswhatsoever. Will certainly be my go to dermatologist from now on! Very thorough! Even checked my scalp between my toes, behind my knees. Recommended a few solutions for my acne. No upsells whatsoever. Will certainly be my go to dermatologist fromnow on! Excellent appointment with Dr. Metzinger. She was timely, answered my questions and made me feel good about the future ofmy Dx. Would certainly recommend her and this practice to anyone looking for answers! Excellent appointment with Dr. Metzinger. She was timely, answered my questions and made me feel good about the future of my Dx. Would certainly recommend her and this practice to anyonelooking for answers! Dr. Allison Metzinger joined Sonterra Dermatology in September 2018. After graduating from Rhodes College, she attended Baylor College of Medicine where she was elected to the prestigious Alpha Omega Alpha Honor Society. Dr. Metzinger completed her residency in Dermatology at the Medical College of Georgia in 2009 where she was chosen to serve as Chief Resident of Dermatology. Dr. Metzinger is board-certified by the American Board of Dermatology and is a fellow of the American Academy of Dermatology. 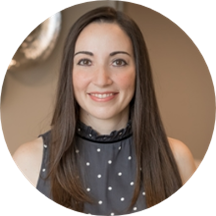 She is a member of several professional organizations including the Texas Dermatologic Society, American Society for Dermatologic Surgery and Texas Medical Association. Dr. Metzinger has been the author of several peer-reviewed journal publications. She practices General Medical, Surgical and Cosmetic Dermatology. Cosmetic interests include Botox and fillers for facial rejuvenation as well as sclerotherapy for spider veins. Very good professional care. Great customer service by staff. Very professional office. Efficient and kind! I would highly recommend this doctor and her team. Very nice people and environment. I was impressed with the thoroughness of the questions of both the medical assistant and the physician. They gave other treatment options that I had not previously been advised of even though I have had four other dermatologists treat me inthe last 20+ years. They were also both understanding and supportive of my condition's effects on both my professional and personal life. They gave out of the box thinking on different items both in and out of the office for treatment as well. I really enjoyed the quick availability of the office and their flexibility. Very professional office staff, medical staff, and physician. Very thorough exam. Not rushed. Addressed all of my concerns. This was by far the best doctor visit I’ve ever experienced. From check-in to checkout! Dr. Metzinger was friendly and professional. I drove 2 hours and must say it was worth it. Looking forward to the follow-up visits. She was prompt, caring and thorough. I was really happy to find a Dr. that really listens.